Follow narrow shelf road down massive cliff to canyon bottom. The attraction here is not the straight portion of Spring Canyon Bottom Road (although it is a scenic drive), but all the side roads you can explore. 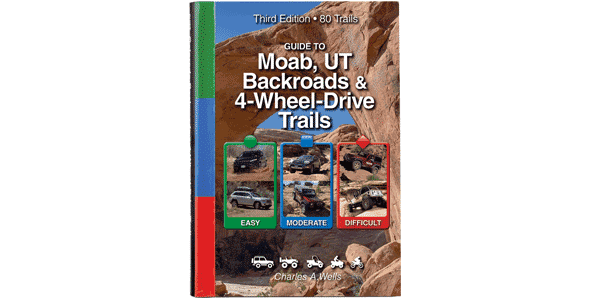 If you don’t do these, then all the excitement will be after Waypoint 03, where you drop down spectacular switchbacks to the canyon bottom, which takes you to the Green River and the start of Hey Joe Canyon, Trail #20. Camp in previously used spots only and carry a portable toilet (required). Easy when conditions are dry and if no rockslides have occurred. Don’t go down the switchbacks during rainy periods or after a heavy rainstorm as rockslides are more likely then.